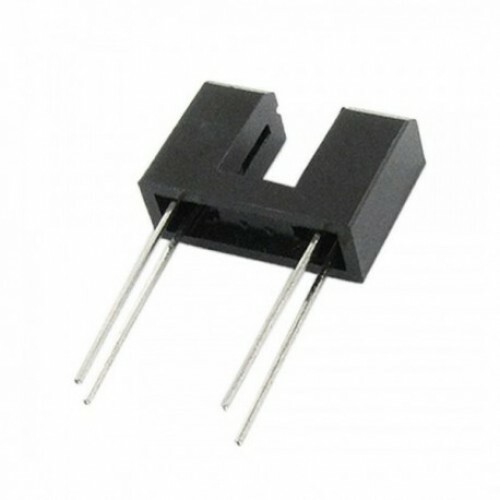 It consist of an infrared emitting diode and an NPN silicon phototransistor, encased side-by-side on converging optical axis in a black thermoplastic housing. The phototransistor receives radiation from the IRED only. This is the normal situation. But when an object is in between, phototransistor could not receives the radiation.